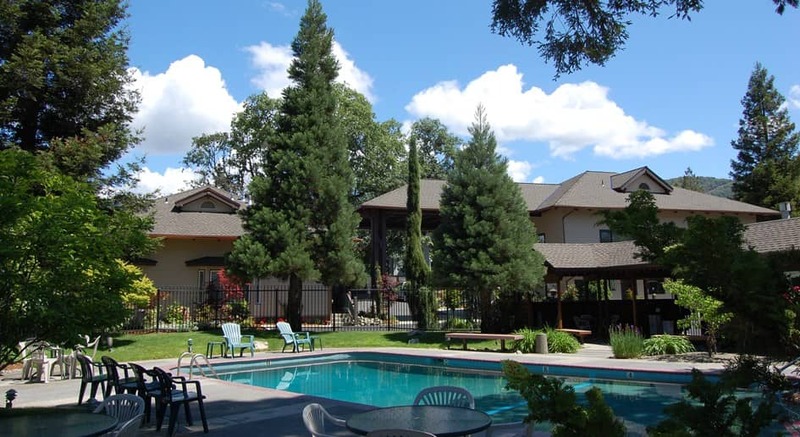 The Redwood Hyperion Suites pool and hot tub facilities are nestled under a canopy of towering trees, creating a unique environment for the whole family. 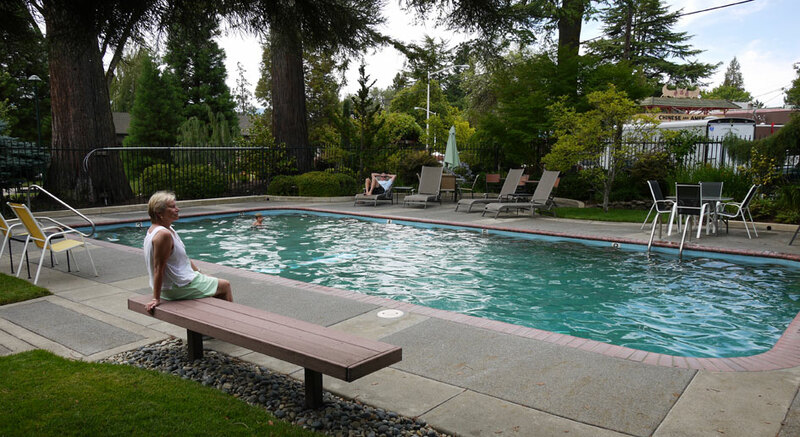 The seasonal 9 feet deep pool is great for the swimming enthusiast or for playful splashing around in the shallow end. During the warm summer days, the surrounding Redwoods provide a respite from the penetrating sun. 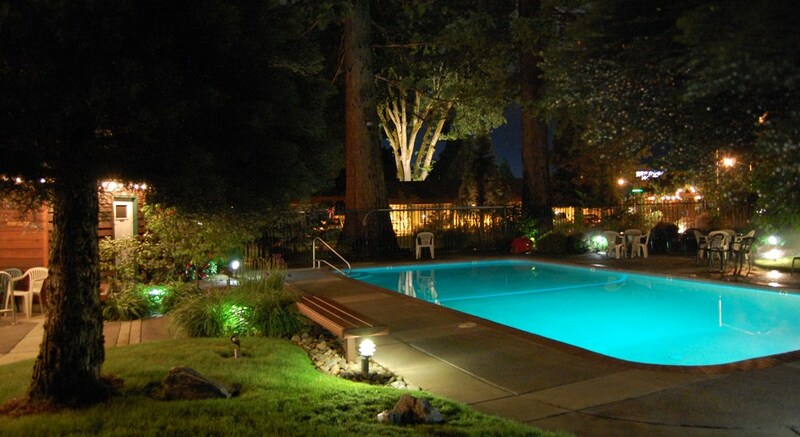 In the evening, the trees are illuminated and the stars are framed by the Redwood canopy. The year-round and ever popular hot tub will soothe and rejuvenate, while providing a great place to unwind. The saltwater filtration system for the pool and hot tub is free of harsh chemicals, so there are no chemical odors or irritants to deter from the refreshing experience. 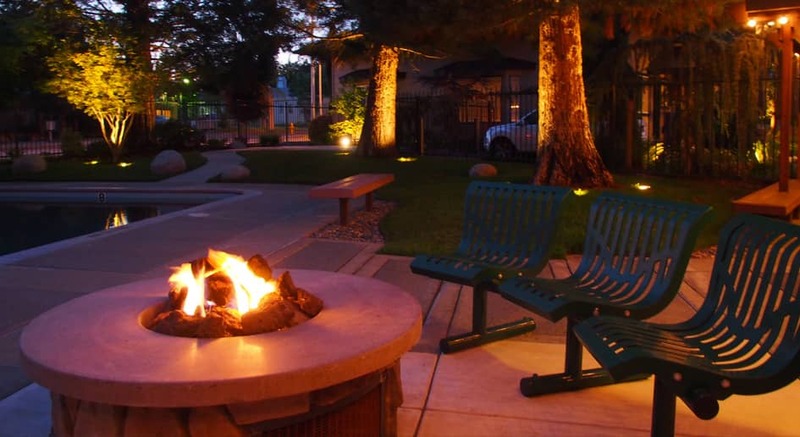 There are also ample tables and chairs, including loungers, as well as a fire pit in the pool area. 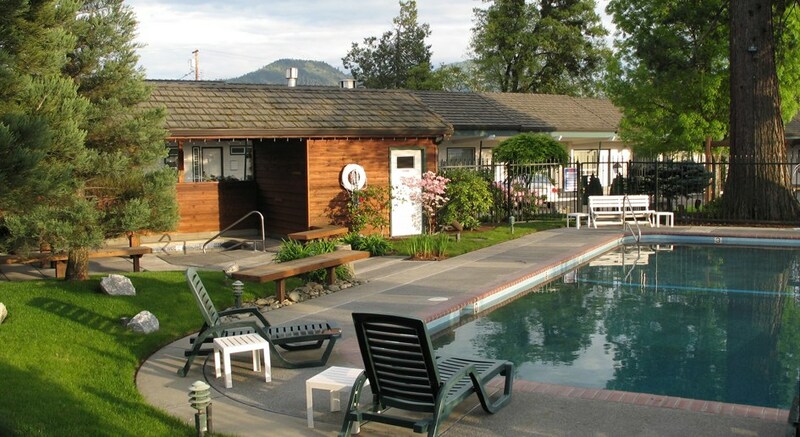 Whether permitting, the pool is open from May through October. The pool area closes at 10:00 p.m.